Lock in a great price for Frigate Hotel – rated 9.2 by recent guests! The hallway bar is actually pretty nice, with a fireplace and a real bartender. The hotel is near the pier.If you plan to go Kinzi island,this hotel is your best choice. The manager was very sweet to upgrade us as we were on our honeymoon. Adelina who was at the reception was extremely helpful in taking care of our requests. The surroundings of the hotel are all scenic. Great place to stay. The location of the hotel is extremely perfect! Right on front of the lake and next to the boat tour places. Some of the staff very courteous and professional. Beautiful, comfortable, unique and clean rooms and facilities, but the real highlight is the staff - they’re amazing, so helpful, accommodating and personable! Excellent Location. Friendly Staff. Stylish Hotel. Nicely renovated hotel at the beach. Very comfortable and clean rooms. Good service. Nice location right next to the lake. Great view. Perfect location. Friendly and helpful staff. Cozy lovely restaurant on site. The stuff was great, I loved the design of the hotel and rooms - both stylish and cozy. 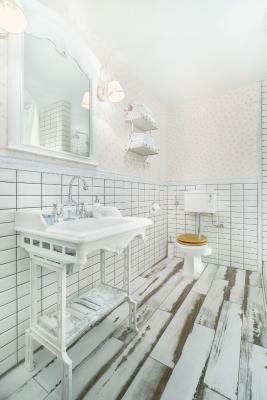 Bathroom and the room itself are comfortable. Nice restaraunt in the hotel and great location. 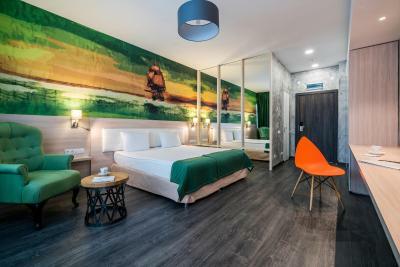 Frigate Hotel This rating is a reflection of how the property compares to the industry standard when it comes to price, facilities and services available. It's based on a self-evaluation by the property. Use this rating to help choose your stay! 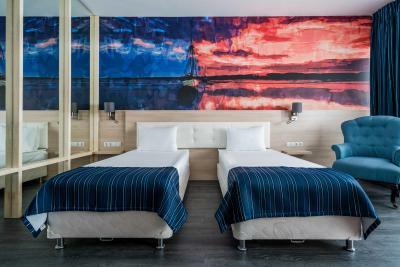 One of our top picks in Petrozavodsk.Enjoying a quiet location in the heart of Petrozavodsk, Frigate Hotel is located on the scenic shore of the Onega Lake. It offers a restaurant as well as free WiFi in the entire hotel. Secured parking is provided for guests. 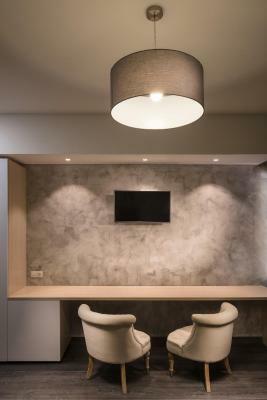 The air-conditioned rooms feature a flat-screen smart TV and mini-bar. You will find a word desk, phone and safety deposit box. 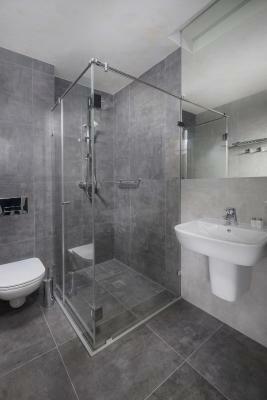 Each unit includes a modern private bathroom equipped with underfloor heating, hairdryer and toiletries. 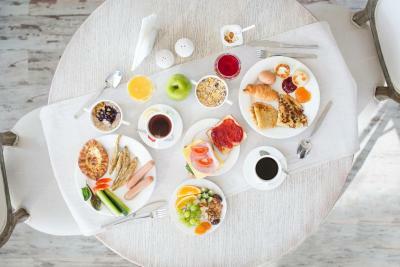 Guests can enjoy European and Russian dishes at the hotel’s restaurant, as well as buffet breakfast. Frigate Hotel's gym and lobby bar operate around the clock. The hotel is centrally located, a 5-minute drive from the pretty Alexander Nevskiy Cathedral. The Karelia Theater is a 7-minute walk away. 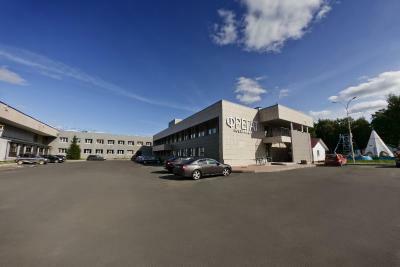 Petrozavodsk Central Bus Station and Petrovadosk Pass Train Station are both within 10 minutes’ drive of the hotel. An airport shuttle to and from Petrovadosk Airport can be arranged at reception. 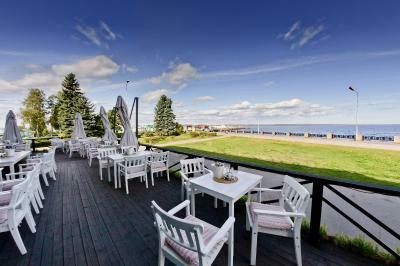 This property also has one of the top-rated locations in Petrozavodsk! Guests are happier about it compared to other properties in the area. 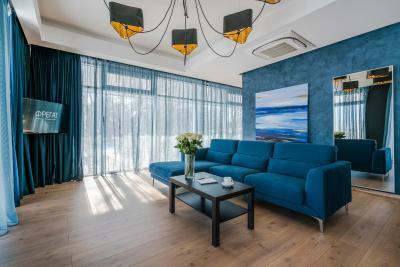 This property is also rated for the best value in Petrozavodsk! Guests are getting more for their money when compared to other properties in this city. When would you like to stay at Frigate Hotel? This room comes with a flat-screen TV and a mini-bar. There are also a desk, a phone and a safety deposit box. 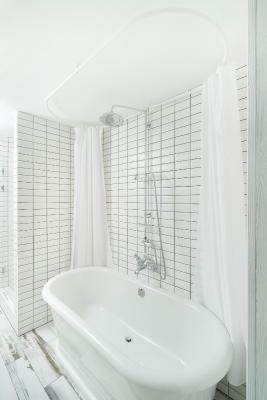 The bathroom features an underfloor heating, a hairdryer and free toiletries. 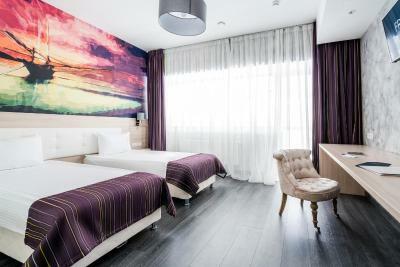 A warmly decorated room featuring a flat-screen TV, free Wi-Fi and bathroom equipped with toiletries. 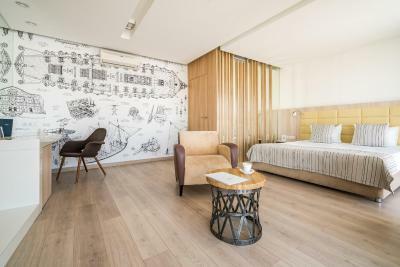 This air-conditioned junior suite features a view of Lake Onega. A flat-screen TV and a fridge are also offered. Extras include an iron and ironing board, free water, tea and coffee set. 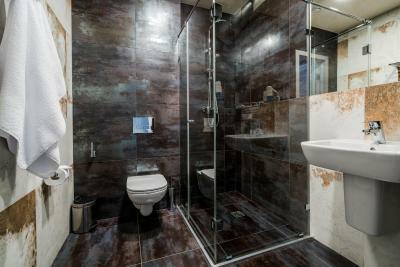 The bathroom is fitted with underfloor heating, a bath with rain shower, and bidet. A hairdryer, bathrobes, slippers and free toiletries are provided. This room with disability access and amenities features a TV with cable channels and a mini-bar. The bathroom comes with a hairdryer and free toiletries. 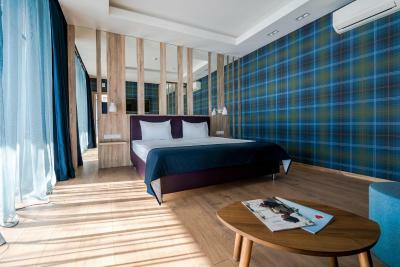 This air-conditioned junior suite features a view of Lake Onega and unique design. 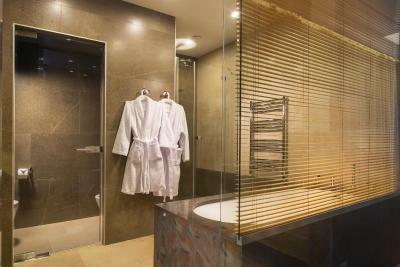 The bathroom is fitted with a bath and comes with bathrobes, slippers and free toiletries. 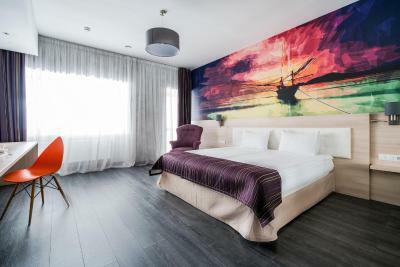 This room offers a balcony and views of Lake Onega and Peter the Great monument. Extras include an iron and ironing board along with tea and coffee set. The bathroom comes with bathrobes and slippers. This suite offers panoramic views of the Onega lake. Hotel opened its doors in 2015. 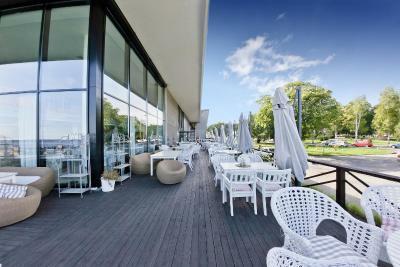 Great location on the Onego lake embankment allows guests to enjoy the most beutiful place in the city. House Rules Frigate Hotel takes special requests – add in the next step! Frigate Hotel accepts these cards and reserves the right to temporarily hold an amount prior to arrival. Please note that guests receive a 10% discount at the property's restaurant. Please inform Frigate Hotel of your expected arrival time in advance. You can use the Special Requests box when booking, or contact the property directly using the contact details in your confirmation. The breakfast was full with different kind of food but the freshness wasn't the best possible. The room!! Was not the one we booked. Was a very dated room. Noisy matress & bed. Great location. Close to ferry. Food was excellent. Reception very helpful. Provide breakfast bags on early departure. Organised transfers. The place is both a one where people celebrate their birthdays and other events, and a one that is just opposite the amusement park with loud music. Were forced to learn that it might be only silent after 23.00 in accordance with the local rules. Not for a business-traveller, unfortunately. I didn't expect there was no elevator - due to leg trauma it's not always comfortable for me to use stairs. But thanks to the stuff - they helped with my luggage to get it to the room. There must be air condition! Very good breakfast. Very good restaurant. Excellent view to the lake! Location is great if you plan a hydrofoil trip to Kizhi - to port is literally few steps from the hotel (which probably used to be te port building before). The center or railway station is reachable on foot or with taxi. There were many events and even two weddings, which showed that the place was popular. Unfortunately sharing the happiness it was still difficult to get rest, which is very important during the working trip. The hotel location is excellent, very near by the lake, fantastic view. The restaurant was booked in advance, and even it was a delay they welcomed and served with pleasure and smile. The food at their main restaurant was outstanding! This was the only stay during our trip in Russia where we wanted to have every single meal at the hotel itself. Location was very central. Great view of Lake Onega from the hotel. Last but not the least, the person at the reception during our check-out was extremely helpful. We had an early morning train because of which we would have missed the breakfast. She herself offered whether we would prefer for the hotel to give us packed breakfast. Such proactive and customer-first service was a cherry on the cake to an already wonderful stay. Best place to stay in Petrozavodsk! just in front of the lake with a very nice view of it, few steps from where the boats departure to Kihzi island. 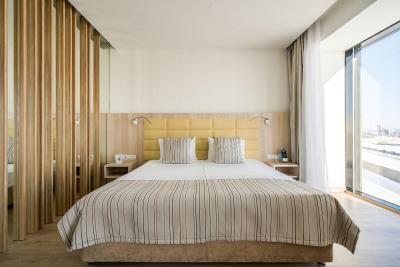 New installations, well decorated, confortable bed and good breakfast.